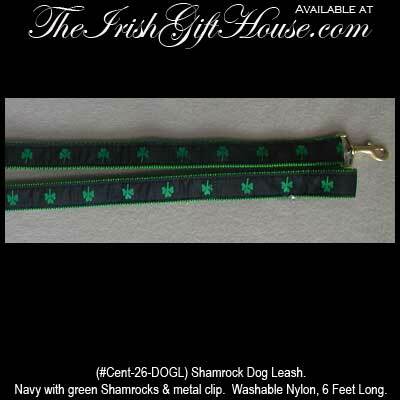 Irish Gifts - Shamrock Dog Leash. Navy with green Shamrocks & metal clip. Washable Nylon, 6 Feet Long x 1.25" Wide.